Photo courtesy of the Institute for Teachers of Color Committed to Racial Justice Facebook page. 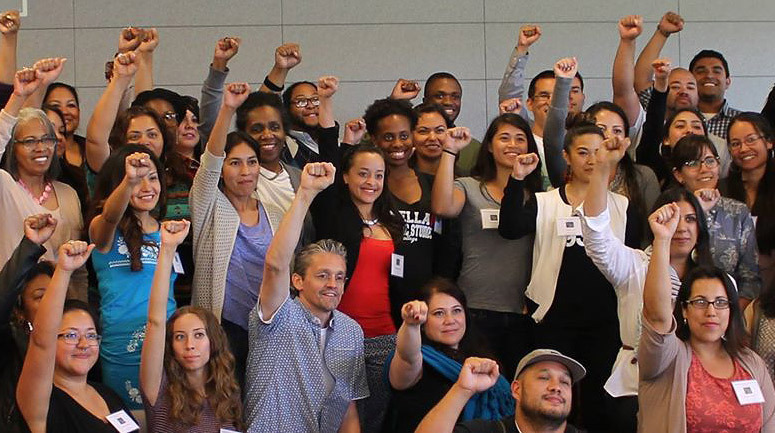 The fifth annual Institute for Teachers of Color Committed to Racial Justice, co-directed by Assistant Professor of Educational Leadership Rebeca Burciaga and Mexican American Studies Chair Marcos Pizarro, will be held in June in Los Angeles. The three-day conference is a professional development opportunity for elementary, middle and high school teachers, founded by former Assistant Professor of Elementary Education Rita Kohli to support the growth, success and retention of teachers of color. Inside Higher Education interviewed Department of English and Comparative Literature Lecturer Leah Griesmann, the originator of National Adjunct Walkout Day. On February 25, adjunct teachers in colleges across the United States and beyond joined the protest to bring attention to the plight of college adjuncts whose job security and paychecks are minimal. “I can tell you on behalf of adjuncts everywhere that the system is broken, and you might believe me. But there’s no denying something’s going on when thousands and thousands of adjuncts and allies say the same thing,” Greismann said. She first suggested the idea of a walkout on social media in the fall of 2014. Greismann recently received an Elizabeth George Foundation grant in fiction and a MacDowell Colony artist fellowship. Department of Aviation and Technology Lecturer Dianne Hall was profiled in Bermuda’s The Royal Gazette about her work as an engineer and firefighter and her recent trip to Pakistan in connection with SJSU’s partnership with Allama Iqbal Open University. “San Jose State is helping AIOU enhance its computer science degree,” she told the newspaper. “The intent is to train students in remote areas, where literacy is quite low, to do software engineering.” Hall visited Pakistan to train faculty to teach online and to speak about being female in male-dominated professions, encouraging by example women to study computer science or pursue “whatever they wanted to do,” Hall said. Professor of Chemical Engineering Claire Komives and her team of researchers have developed a new opossum-based antidote to counteract poisonous snakebites that also might prove effective in counteracting scorpion, plant and bacterial toxins. Komives presented her research findings at a March meeting of the American Chemical Society. Because the anti-venom is inexpensive, Komives is optimistic that it will be distributed to underserved areas across the globe, including India, Southeast Asia and Africa, where thousands of people each year are bitten by poisonous snakes. Publications forthcoming for Professor of Counselor Education Jason Laker include Supporting and Enhancing Learning on Campus: Effective Pedagogy In and Outside the Classroom (Routledge, 2016) and a chapter in Handbook of Student Affairs Administration (Jossey-Bass, 2015), “Unfinished Business, Dirty Laundry, and Hope for Multicultural Campus Communities.” Prior to joining the Lurie College of Education faculty, Laker served as SJSU’s vice president for student affairs. Assistant Professor of Nutrition, Food Science and Packaging Kasuen Mauldin received an Outstanding Dietetics Educator Award in recognition of her teaching, mentoring and leadership in the field from the Academy of Nutrition and Dietetics, the largest organization of food and nutrition professionals in the country. 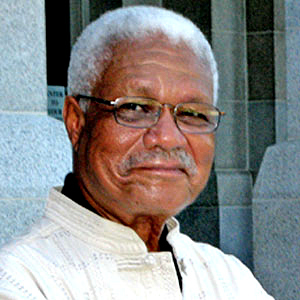 Mauldin joined SJSU’s faculty in 2011. “Effective educators are organized and prepared, professional and fair, resourceful and well connected, and believe there is always room for improvement,” she said. Professor of Accounting and Finance Annette Nellen was appointed to the California State Board of Equalization Executive Director’s Advisory Council for a two-year term. She will serve from 2015 to 2017. The BOE, a public agency charged with tax administration and fee collection, also acts as the appellate body for business, franchise and personal tax appeals. The Salud Familiar program, co-founded by Professor of Health Science Kathleen Roe, received a Program Excellence Award from the Society for Public Health Education. A partnership between SJSU and McKinley Elementary School, the Salud Familiar program teaches McKinley students about healthy lifestyles and promotes academic success. Professor of Screen Writing Scott Sublett reports that SJSU’s RTVF students have achieved national recognition for screenwriting excellence, receiving four awards from Broadcast Education Association, whose Festival of Media Arts ranks as the nation’s most important film competition for RTVF programs. Lauren Serpa took second place in the feature-length screenplay category; Risha Rose received an honorable mention in the same category; and Rachel Compton and Kevin Briot both received honorable mention citations in the short screenplay category. “Once again, SJSU has the most honorees in the nation, reinforcing our dominance in the category and recognizing our department’s emphasis and excellence in screenwriting,” said David Kahn, chair of the Department of Television, Radio, Film and Theatre. Assistant Professor of Biological Sciences Miri VanHoven received a highly competitive National Institute of Health RO-1 grant for her research project “The Effect of Normal and Prolonged Sensory Activity on Neural Circuits.” VanHoven and team will conduct both molecular and physiological studies of the molecular mechanisms that govern how sensory activities affect connectivity between nerve cells. The molecular work will be performed at SJSU’s VanHoven lab, providing students the opportunity to participate in the research process. 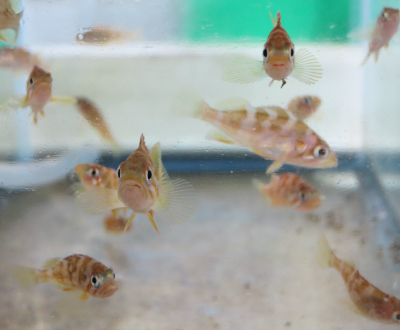 Assistant Professor Scott Hamilton will investigate the responses of juvenile rockfish to a marine environment that contains elevated levels of carbon dioxide and reduced levels of oxygen (image courtesy of Moss Landing Marine Laboratories). 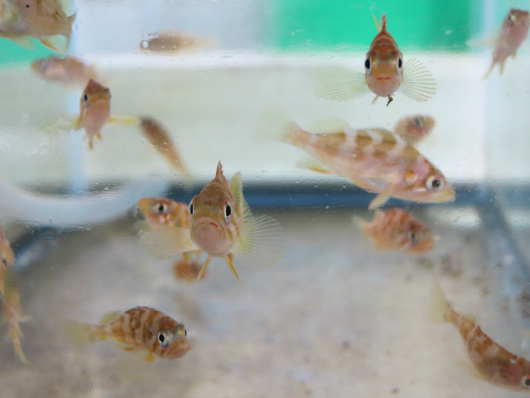 Assistant Professor Scott Hamilton, Moss Landing Marine Labs, was awarded a multi-year $330,000 National Science Foundation grant to investigate the responses of juvenile rockfish to a marine environment that contains elevated levels of carbon dioxide and reduced levels of oxygen. How well the rockfish adapt will provide key information for fisheries and fishery managers. This research, incorporating both field and laboratory studies, builds on Hamilton’s previous scientific investigations of temperate marine fishes. School of Social Work Professor Laurie Drabble received funding from the National Institute on Drug Abuse to study the rates of alcohol consumption, hazardous drinking patterns and illicit drug use among sexual minority women. One of the aims of the study is to identify individual, community and societal factors that contribute—positively or negatively—to substance use, including such factors as social support and psychological distress. A member of California’s Women’s Health Survey Committee, Drabble also serves as an affiliate associate scientist with the Alcohol Research Group in Berkeley. Produced and directed by Department of Linguistics and Language Development Professor Rosemary Henze, the documentary “Just a Piece of Cloth” received a Making a Difference Award at the Toronto Community Film Festival in September. The film, featuring Bay Area Muslim women, has also had screenings at UC Berkeley’s Conference on Islamophobia, the Monterey Institute of International Studies and elsewhere. School of Information Director Sandra Hirsh co-chaired the fourth annual Library 2.014 Worldwide Virtual Conference, held October 8 and 9. Conducted in multiple languages in multiple time zones over the course of two days, the free online conference provided participants with the opportunity to learn about the issues impacting the information profession from an international perspective. Presentations addressed such timely topics as MOOCs, e-books, mobile services, green libraries and more. Keynote and session recordings are available on the Library 2.0 YouTube channel. Writing as T.T. Monday, Professor Taylor spins a tale about a baseball player/private investigator that “succeeds as both a mystery and a baseball novel,” according to Publishers Weekly. President Mohammad Qayoumi’s appreciation of Afghanistan’s new president, “Ashraf Ghani and Afghanistan’s future,” was posted on the U.S. Congress blog The Hill, a forum for lawmakers and policy professionals. Dr. Ashraf Ghani, Qayoumi’s roommate at the American University of Beirut more than four decades ago, was inaugurated as Afghanistan’s president this month. “If anyone can keep Afghanistan on a road to coherent self government and democracy, it is Ghani. From his earliest years he has had total clarity of purpose, great vision, and an incandescent passion to serve Afghanistan,” Qayoumi wrote. Department of English Associate Professor and Martha Heasley Cox Center for Steinbeck Studies Director Nick Taylor discussed his new thriller, “The Setup Man” (Doubleday), at the Menlo Park Civic Center on Oct. 4. Writing as T.T. 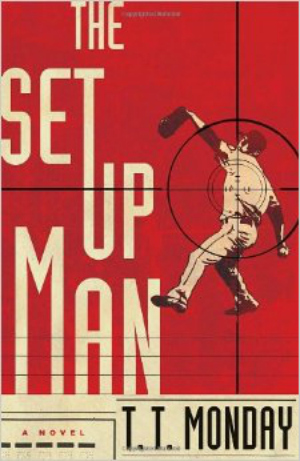 Monday, Taylor spins a tale about a baseball player/private investigator that “succeeds as both a mystery and a baseball novel,” according to Publishers Weekly. Taylor is the author of two previous historical novels, “The Disagreement” (Simon & Schuster, 2008) and “Father Junípero’s Confessor” (Heyday, 2013). Persis Karim, professor of English and Comparative Literature and co-director of Persian Studies, conceived and directed the effort, which was funded by Cal Humanities and its Community Stories initiative. “We are grateful to Cal Humanities for supporting this project and making it possible for these dynamic, first-person narratives to show another side of Iran and Iranian Americans, a diverse group of Americans who have been shaped by and are still shaping Silicon Valley,” Karim said. “Iranian American Voices” features 10, in-depth human stories produced in collaboration with Clint Gilbert at the Center for Digital Storytelling. Those interviewed include an artist, writer, entrepreneur, human rights activist, lawyer, musician, educator and SJSU student. Participants share reflections about a variety of experiences ranging from the 1979 Iranian Revolution to the Iran-Iraq War to the realities of growing up as second-generation children of Iranian immigrants in the context of U.S.-Iran hostility. Karim plans to share this pilot to gain support for a similar effort for all of Northern California. The project is just one of many Persian Studies Program initiatives. The digital stories were featured at the first-ever “Cultures of the Iranian Diaspora” conference, held this past April at SJSU with generous support from the Roshan Cultural Heritage Institute. In addition, a generous three-year grant from Roshan enables SJSU to offer a Persian Studies Program featuring lectures, courses, and cultural events about Iran, the Iranian diaspora, and Persian culture in the South Bay. With more than 120 million international speakers, Persian is a strategically significant language that can benefit careers in the foreign service, international relations, and literary translations. Since 2011, SJSU has offered courses in beginning Persian through the Department of World Languages and Literature. For event news and updates, follow Persian Studies on Facebook. San Jose State — Silicon Valley’s largest institution of higher learning with 30,000 students and 3,740 employees — is part of the California State University system. SJSU’s 154-acre downtown campus anchors the nation’s 10th largest city. 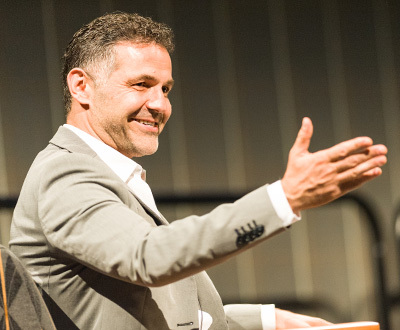 Novelist Khaled Hosseini in conversation with KGO’s Pat Thurston at San Jose State (Robert C. Bain Photo). It’s not often that teachers sit in rapt attention, listening to a student. 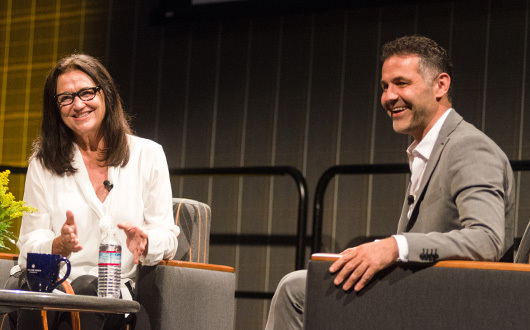 Yet that was the case Sept. 10 at the Student Union, where novelist Khaled Hosseini received the John Steinbeck Award: In the Souls of the People from the Martha Heasley Cox Center for Steinbeck Studies at San Jose State. In the audience were his mother, a teacher of Farsi and history while the family was living in Afghanistan; his English teacher from Independence High School after his family sought asylum in the United States; many more school teachers; and of course faculty members from San Jose State. I don’t think teachers understand the extent of the influence they have on their students, especially after the class is over, when it all comes echoing back,” Hosseini said. His comments were timely, given President Obama had just a few hours earlier addressed the nation about deteriorating situation in Syria and neighboring countries, which will most certainly unmoor even more refugees. “If John Steinbeck was alive today, he would really be in his element in Afghanistan,” Hosseini said. 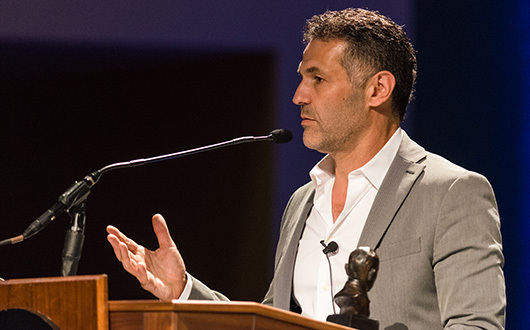 Hosseini with the John Steinbeck Award. The honor is presented to artists and activists whose works exemplify the spirit of Steinbeck’s social engagement (Robert C. Bain Photo). Like Steinbeck, who once lived and worked as a migrant farm worker to, as Hosseini said, “gathering their stories and experiencing their lives,” the author has returned many times to his homeland to see how the wars of the past three decades have impacted everyday people. Working with the United Nations Refugee Commission, he observed that like migrants escaping the Dust Bowl, the refugees in the Middle East–mothers, fathers, children and grandparents–are packing their belongings on their backs and leaving their homes because they can no longer forge a living there. At one point, eight million people in Afghanistan were displaced, one-third of the population. Ethnic groups had a long history of clinging together, and the warlords who emerged to fill the vacuum when the Soviets left plunged the country in chaos until the Taliban dominated. During the award presentation, Nicholas Taylor, associate professor of English and director of the Steinbeck Center, noted it was fitting that on the 75th anniversary of the publication of “Grapes of Wrath,” the Steinbeck Award was going for the first time to a novelist. Authorized by the Steinbeck estate, the honor is presented to artists and activists whose works exemplify the spirit of Steinbeck’s social engagement. Previous recipients include Bruce Springsteen, Ken Burns, Rachel Maddow, John Mellencamp and Michael Moore. Hosseini did not intend to become a published author when he began writing for the pure joy of it as a teenager, first in Farsi, then French when his family lived in Paris, and finally in English. Yet he acknowledged that he recognized a higher purpose in his novels, which he resumed writing after graduating from the University of California, San Diego, School of Medicine. 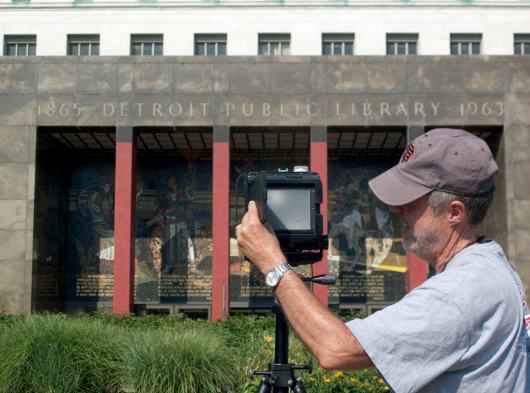 Photographer Robert Dawson, a lecturer in the Department of Art and Art History, published The Public Library – A Photographic Essay (Princeton Architectural Press). 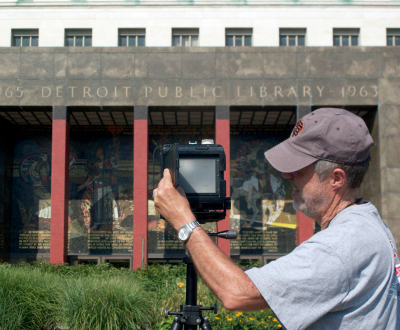 Over the past 18 years, he has traveled the country, photographing libraries large (the New York Public Library) and small (Tulare County’s one-room library, built by former slaves) to compile the most comprehensive visual survey of American libraries ever published. Accompanying Dawson’s photographs are essays, letters and poetry extolling libraries by Amy Tan, Bill Moyers, Barbara Kingsolver and others. 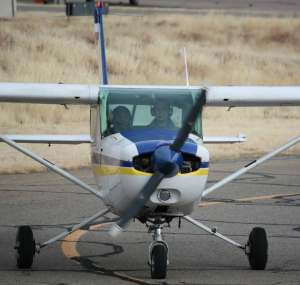 Department of English Lecturer Kelly Harrison, who also serves as coach and faculty advisor of the San Jose State Precision Flight Team, celebrated her flight team’s second-place finish in the National Intercollegiate Flight Association Regionals, held in Arizona in February. Teams compete in ground and flying events that range from computer accuracy to short field approach and landing. SJSU’s team is now eligible to compete in the NIFA Nationals Tournament to be held at Ohio State University in May. School of Library and Information Science Lecturer Michelle Holschuh Simmons, Assistant Professor Michael T. Stephens and Lecturer Melba Tomeo received Excellence in Online Teaching awards from the Web-based Information Science Education (WISE) consortium. All three teach in the Master of Library and Information Science (MLIS) program, which is delivered exclusively online. This is the fourth win for Simmons, who teaches courses in information literacy and information resources. 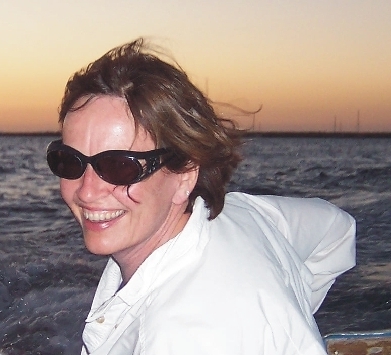 Professor of Chemical Engineering Claire Komives received a 2015 Fulbright Scholar research grant. She will spend the academic year working at the Indian Institute of Technology Delhi. Dr. Komives’ research will focus on developing a low-cost antidote for snake envenomation. The highly competitive Fulbright grants, one of the most prestigious awards programs worldwide, provide international educational opportunities for a select group of students, scholars, teachers, professionals, scientists and artists. CommUniverCity San Jose, led by Executive Director and Department of Urban and Regional Planning Department Professor Dayana Salazar, received the Bold Steps for Children Award at the 2014 Santa Clara County Children’s Summit. The Children’s Summit is sponsored by Kids in Common, Santa Clara County’s child advocacy organization. Started in 2005, CommUniverCity engages SJSU students in local, service-learning initiatives that help to build community and solve neighborhood issues. Susan Shillinglaw and Assistant Professor Nicholas Taylor, Department of English, read and signed their latest books at Barnes and Noble in San Jose on March 19. Steinbeck scholar Shillinglaw’s On Reading The Grapes of Wrath (Penguin Books) is described by Bookpage as a “concise, penetrating study.” Kirkus Reviews calls Taylor’s The Setup Man, written under the pseudonym T.T. Monday, “a treat for readers of mystery or baseball novels.” Both authors also published books in 2013. Shillinglaw contributed the dual biography Carol and John Steinbeck: Portrait of a Marriage (University of Nevada Press), and Taylor, under his own name, published a historical novel, Father Junipero’s Confessor (Heydey). Assistant Professor Elizabeth (Elly) Walsh, Department of Meteorology and Science Education, published a peer-reviewed article in the April issue of Nature Climate Change, an interdisciplinary journal devoted to climate change and its impacts. In “Social Controversy Belongs in the Climate Science Classroom,” Walsh argues the importance of including social context and cultural values when teaching climate change in K-12 and college classrooms. In celebration of National Poetry Month, San Jose State University will once again host its annual Legacy of Poetry Day 11:45 a.m. to 3:30 p.m. April 24 at Caret Plaza, outside the campus entrance for the Dr. Martin Luther King, Jr. Library. 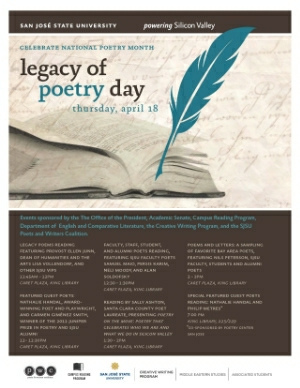 The theme of this year’s eighth annual Legacy of Poetry Day is “SJSU’s Legacy of Diversity Through Poetry: All Kinds, All Colors.” which will feature readings by former California Poet Laureate Al Young, new Santa Clara Poet Laureate David Perez, recent Santa Clara County Poet Laureates Sally Ashton and Nils Peterson, Los Gatos Poet Laureate Erica Goss, poet/musician and memoirist Joy Harjo. 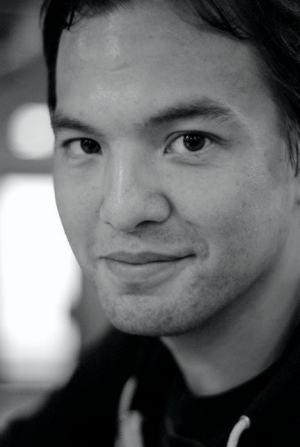 The program’s co-MC will be “Mighty” Mike McGee, San Jose’s Individual World Poetry Slam Champion (2006). There will also be readings in remembrance of California poet Wanda Coleman, the unofficial Poet Laureate of Los Angeles. Coleman who died in November, over the decades was one of California’s most well-known and popular poets. Her career began among the Beat poets in Venice West in the early sixties and ended with her successfully writing poetry while working as a staff writer for the NBC soap opera “Days of Our Lives” (1975-76) for which she won an Emmy Award. SJSU’s Legacy of Poetry Day will continue through the afternoon with readings by students, SJSU faculty members, emeriti, and alumni. There will be readings by a number of SJSU faculty poets including Alan Soldofsky, Persis Karim, Samuel Maio, Gloria Collins, Neli Moody, and Linda Lappin among others. President Mohammad Qayoumi and Provost Andrew Hale Feinstein will offer opening remarks and readings for the event. Professors Alan Soldofsky (English & Comparative Literature) and Annette Nellen (Accounting and Finance) organize the annual gathering, which is sponsored by the SJSU Poets and Writers Coalition, with co-sponsorship support from the SJSU President’s Office, Academic Senate, the MLK Library, the Creative Writing Program, Department of English and Comparative Literature, SJSU Associated Students, and Poetry Center San Jose. SJSU’s Legacy of Poetry Day is celebrated annually as part of National Poetry Month, on the Thursday closest to San Jose’s first nationally renowned poet, Edwin Markham’s, birthday (April 23, 1852). Markham is best known for writing “A Man With A Hoe,” a poem embodying the oppressed suffering of farm laborers. Last year’s Lit Factory booth (Christina Olivas). Also, at this year’s event the students of the Poets and Writers Coalition will staff the Lit Factory booth, which provides typewriters for poets to write short pocket-sized poems on the spot to be given away to those attending the day’s events. Submit your poem’s desired elements and characteristics to the Lit Factory, and see what interesting poem comes out. The Lit Factory is SJSU’s way of participating in the Poetry In-Your-Pocket Day, a national event sponsored by the Academy of American Poets on April 24, during National Poetry Month. National Poetry Month is held every April, when schools, publishers, libraries, booksellers, and poets throughout the United States band together to celebrate poetry and its vital place in American culture. Thousands of organizations participate through readings, festivals, book displays, workshops, and other events. Legacy of Poetry Day is sponsored by the SJSU President’s Office, the Faculty Senate, the Creative Writing Program, the Department of English & Comparative Literature, and SJSU Associated Students. Opening remarks and readings by President Mohammad Qayoumi and Provost Andrew Hale Feinstein. Readings in honor San Jose State’s first major poet, Edwin Markham (April 23, 1852 – March 7, 1940), and Henry Meade Bland (1863 – 1931), California’s second Poet Laureate. Featured keynote readings by former California Poet Laureate Al Young, Santa Clara County’s newest poet Laureate David Perez, former Santa Clara County poet Laureates Sally Ashton and Nils Peterson. Commemorative reading and tribute to poet Wanda Coleman. SJSU faculty reading featuring Gloria Collins, Persis Karim, Linda Lappin, Samuel Maio, Neli Moody, Sweeney Schragg, Alan Soldofsky, and other poets. Readings by SJSU students, staff, and alumni. Featuring Metro Newspaper’s Silicon Alley’s columnist Gary Singh, Mark Heinlein, Darrell Dela Cruz, Stephanie Chan, Vuong Vu, Max Goodwin and winners of the James Phelan, Dorrit Sibley, and Viriginia de Araujo/Academy of American Poets student poetry awards. Hosted by the Poets & Writers Coalition. 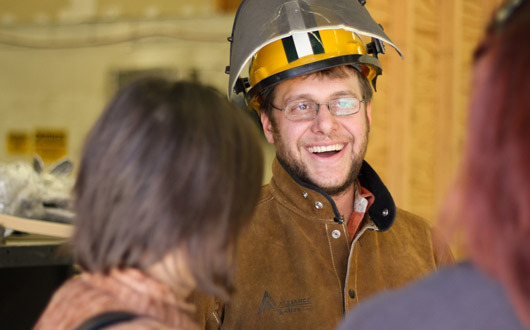 Lecturer Ryan Carrington, Department of Art and Art History, holds an MFA in spatial art from SJSU and teaches sculpture, foundry work and mold making. Professor Ted Butryn and Associate Professor Matthew Masucci, Department of Kinesiology, spoke on February 26 at the King Library as part of the University Scholar Series on the topic of female triathletes’ awareness of doping and the anti-doping movement. Their research was funded by a two-year grant from the World Anti-Doping Agency. Lecturer Ryan Carrington, Department of Art and Art History, received an Emerging Artist/Artist Laureate Award from Silicon Valley Creates. His art explores the theme of labor through gallery installations, performances and site-specific work. He holds an MFA in spatial art from SJSU and currently teaches sculpture, foundry work and mold making. Professor Emeritus Betty Chu, Department of Economics, was profiled last month in TheHuffington Post for her success in breeding Angora rabbits. One of the oldest kinds of domestic rabbit, the Angora rabbit, along with the Angora cat and the Angora goat, originated in Turkey. Chu holds the distinction of breeding the only Angora that has ever won the Open Best in Show award at the American Rabbit Breeder Association National Convention. Assistant Professor G. Craig Hobbs, Department of Art and Art History, and director of Learning and Games Consortium, organized and served as faculty advisor of Global Game Jam, held January 24-26 on campus. A competitive “hackathon” focused on game development, it was an event open to students from all majors and focused on collaboratively creating games under tight deadlines using computers, software and brainwave sensor technologies. 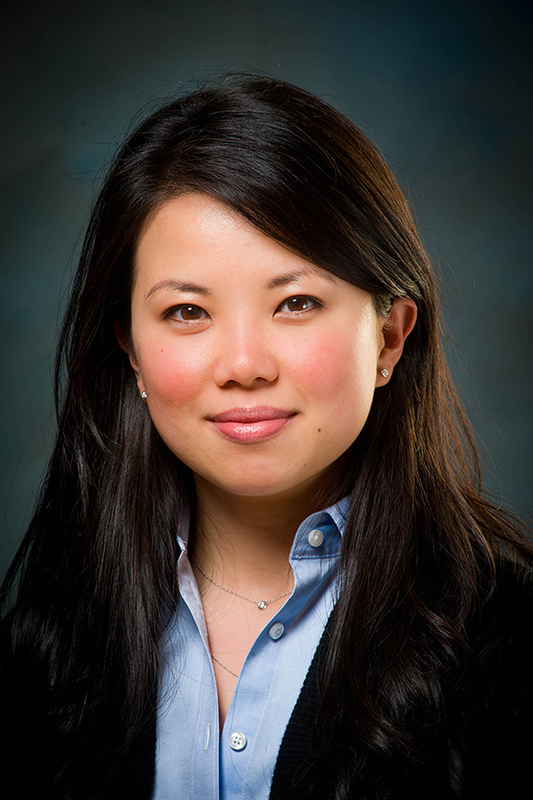 Assistant Professor Kasuen Mauldin, Department of Nutrition, Food Science and Packaging, received the 2014 California Dietetics Association Excellence in Research Award. 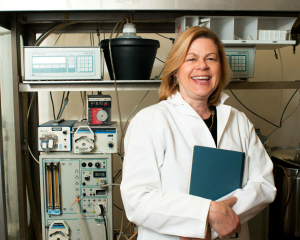 Her research focuses on human metabolism and, more specifically, lipoprotein homeostasis. She will also chair the 2014 Center for Healthy Aging in a Multicultural Population (CHAMP) conference. Creative writing Associate Professor Cathleen Miller and Professor Alan Soldofsky read and signed their most recent books at Barnes and Noble in San Jose on February 12. 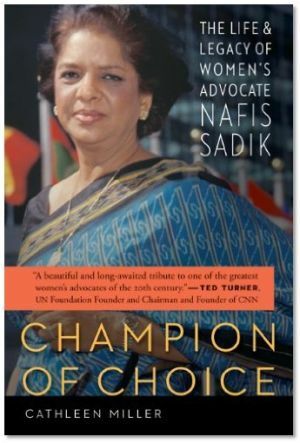 Miller’s Champion of Choice (University of Nebraska Press) is a biography of Dr. Nafis Sadik, the first female director of a United Nations agency and a renowned advocate for women’s health and reproductive rights. Soldofsky’s poetry collection, In the Buddha Factory (Truman State University Press), takes Silicon Valley as its backdrop. 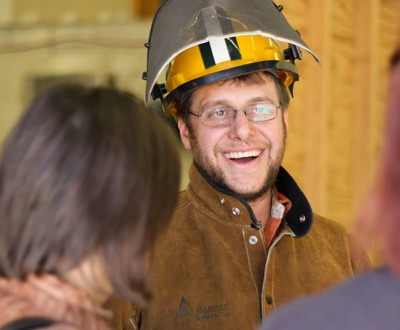 Professor David Parent, Department of Electrical Engineering, has been working with Silicon Valley employers Atmel, Texas Instruments and Linear Tech to secure internships and acquire donations of equipment for the department, including boards and chips. Atmel recently recognized SJSU as one of the top universities from which to acquire talented electrical engineering graduates. Director of Film and Television Production Babak Sarrafan won the Broadcast Education Association’s Educational/Instructional Video Award of Excellence in the faculty video category. His “Green Ninja Episode 4: Styrofoam Man” is the latest in an ongoing series featuring an environmental ninja. “My aim is to make environmental responsibility entertaining,” he said. SJSU students also took home top prizes, including Best in Show for Always Learning, a feature-length film by Robert Krakower. The BEA is the largest association of Radio-TV-Film programs in the United States with 260 member institutions. 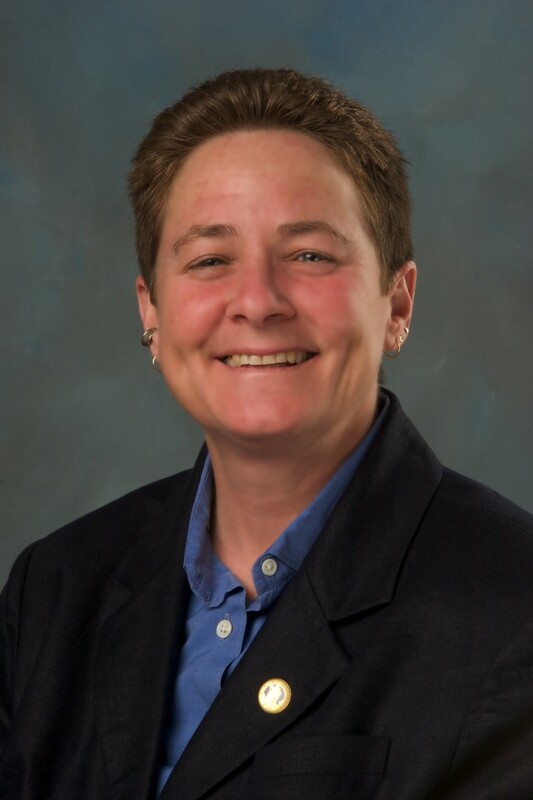 Professor Emily Wughalter, Department of Kinesiology, will receive the Luther Halsey Gulick Medal from the American Alliance for Health, Physical Education, Recreation and Dance at the AAHPERD national conference in April. The highest award bestowed by the organization, it recognizes Wughalter’s 33 years of distinguished service to her profession. A strong advocate for girls and women in sport, she previously received the Honor Award from the National Association for Girls and Women in Sport (NAGWS) and served as president of the Western Society for Physical Education of College Women. In January 2014, she received a distinguished service award from the National Association for Kinesiology in Higher Education (NAKHE). “Submit your poem’s desired elements and characteristics to the Lit Factory, and see what interesting poem comes out,” said an invite to Legacy of Poetry Day April 18 on Caret Plaza, outside the campus entrance for the Dr. Martin Luther King Jr. Library. While published poets, students, faculty and alumni offered readings, student members of the Poets and Writers Coalition tapped away on old-fashioned typewriters, improvising pocket-sized poems upon request. Professors Alan Soldofsky and Annette Nellen organized the event, sponsored by the Poets and Writers Coalition, with co-sponsorship support from the Campus Reading Program, King Library, the Middle Eastern Studies Program, the Creative Writing Program, the Department of English and Comparative Literature, Associated Students, and Poetry Center San Jose. In celebration of National Poetry Month, San Jose State University will once again host Legacy of Poetry Day 11:45 a.m. to 3 p.m. April 18 at Caret Plaza, outside the campus entrance for the Dr. Martin Luther King Jr. Library. Provost Ellen Junn, and Dean of Humanities and the Arts Lisa Vollendorf will offer opening remarks and readings for the event, which will feature readings by Palestinian-American poet and playwright Nathalie Handal, and San Jose State alumna and award-winning poet Carmen Giménez Smith, an assistant professor of English at New Mexico State University. 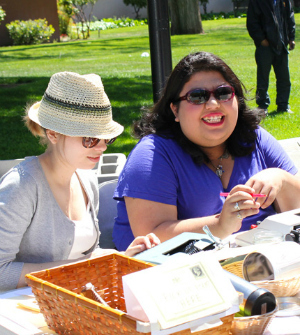 In celebration of National Poetry Month, SJSU will once again host Legacy of Poetry Day 11:45 a.m. to 3 p.m. April 18 at Caret Plaza, outside the campus entrance for King Library. Also featured will be Santa Clara Poet Laureate Sally Ashton, and contributors to the poetry anthology Poetry On the Move: Poems that Celebrate Who We Are and What We Do In Silicon Valley. The anthology is comprised of poems submitted to the Poetry On the Move Contest; the five winning poems were published as placards placed in VTA light rail and buses and Santa Clara County Libraries. SJSU’s Legacy of Poetry Day will continue with an afternoon of readings by students, faculty members, emeriti, and alumni. Professors Alan Soldofsky and Annette Nellen organize the annual gathering, sponsored by the Poets and Writers Coalition, with co-sponsorship support from the Campus Reading Program, the MLK Library, the Middle Eastern Studies Program, the Creative Writing Program, Department of English and Comparative Literature, Associated Students, and Poetry Center San Jose. 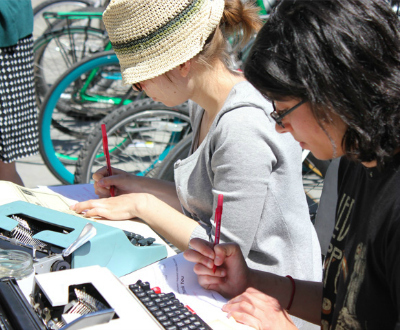 At this year’s event the students of the Poets and Writers Coalition will staff the Lit Factory booth, which provides typewriters for poets to write short pocket-sized poems on the spot to be given away to those attending the Legacy of Poetry Day events. Submit your poem’s desired elements and characteristics to the Lit Factory, and see what interesting poem comes out. The Lit Factory will be SJSU’s way of participating in the Poetry In-Your-Pocket Day, a national event sponsored by the Academy of American Poets on April 18, during National Poetry Month. 11:45 a.m. Opening remarks and readings by Provost Ellen Junn and Dean of Humanities and the Arts Lisa Vollendorf. Readings in honor San Jose State’s first major poet, Edwin Markham (April 23, 1852 – March 7, 1940). Noon – 12:30 p.m.: Featured guest poet, Nathalie Handal, award-winning poet and playwright, and Carmen Giménez Smith, winner of the 2012 Juniper Prize in Poetry. 12:30 – 1:30 p.m.: Faculty, staff, student, and alumni Poets Reading, featuring SJSU faculty poets Samuel Maio, Persis Karim, Neli Moody and Alan Soldofsky. 1:30 – 2 p.m.: Featuring a Reading by Sally Ashton, Santa Clara County Poet Laureate, presenting Poetry on the Move: Poetry that Celebrates Who We Are and What We Do In Silicon Valley. 2 – 3 p.m.: Poems and Letters: A reading featuring a sampling of letters and poems from SJSU faculty, students, and alumni poets, and their favorite poets. 7 – 8 p.m.: Palestinian-American poets Nathalie Handal and Philip Metres reading from their works. Dr. Martin Luther King Library, Rm. 225, sponsored by Middle East Studies and the Poets and Writers Coalition. Shillinglaw wrote the introduction to this Penguin classic. 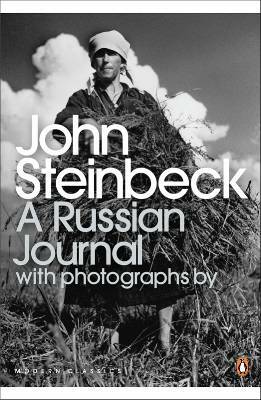 Just after World War II, John Steinbeck and acclaimed Hungarian photographer Robert Capa ventured into the Soviet Union to report for the New York Herald Tribune. 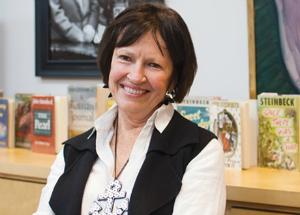 This fall, more than a half century later, Steinbeck scholar and SJSU Professor of English Susan Shillinglaw will retrace their footsteps, supported by a U.S. State Department grant. She will travel to Tbilisi and Batumi, Georgia. In Batumi, she will meet with one of two women who spearheaded recent efforts to produce a documentary film honoring Steinbeck. She will also give talks on the author’s career and trip. Shillinglaw gave a paper on Steinbeck and Russia at the 2010 Steinbeck Festival in Salinas, and she is working on an article on the same topic. She wrote the introduction for the Penguin Classics edition of Steinbeck’s A Russian Journal.